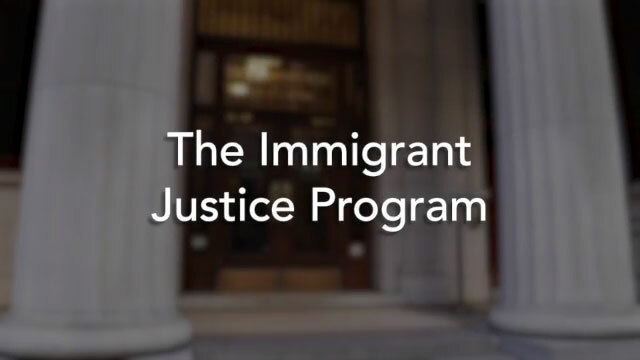 The 2018 City Bar Justice Center Gala video showcases our work providing free legal services to immigrants in New York City. This training will prepare pro bono attorneys to handle FEMA Appeals for victims of the devastating 2017 Hurricane Season who seek assistance in New York. The City Bar Justice Center will be coordinating FEMA Appeals Clinics this winter, assuming sufficient demand from clients. We will reach out to members with those volunteer opportunities as the appointments are scheduled. Providing pro bono legal assistance after disasters is a marathon, not a sprint, so please stay tuned. On November 20, 2017, experts, including representatives from the Federal Emergency Management Agency (FEMA), provided a basic training on how to file FEMA appeals on behalf of residents impacted by recent hurricanes. Millions of Americans have seen their homes damaged or destroyed from hurricanes and other natural disasters this Fall. 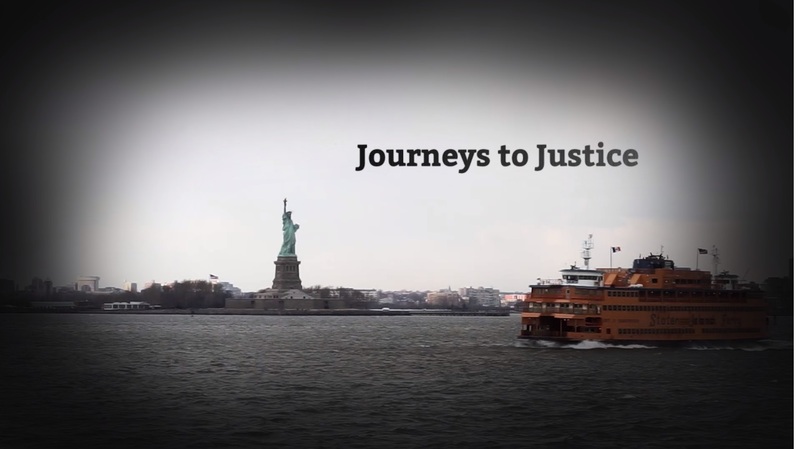 New York’s Chief Judge, Janet DiFiore, has called on New York’s lawyers to provide volunteer assistance in helping to address this tremendous humanitarian crisis. Working with disaster relief organizations, the co-sponsors of this event – the City Bar, the Chief Judge’s Task Force on Disaster Relief, and the Association of Pro Bono Counsel – have identified an important category of work that can be performed by volunteers who are not admitted to the local bar: assistance to homeowners who have been denied FEMA benefits or who are disputing the amount awarded by appealing those decisions. View the course materials from this program here. 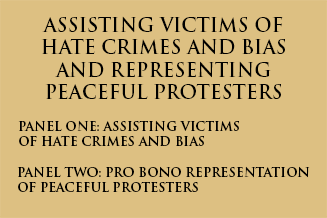 This program is for pro bono attorneys seeking to assist victims of hate crimes or bias and to represent people arrested while peacefully protesting. 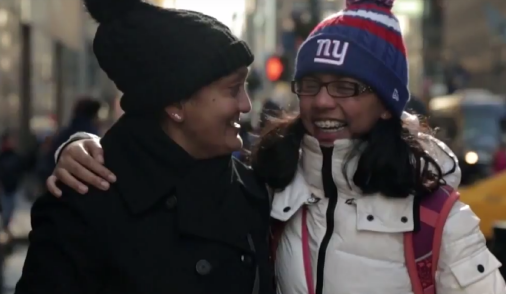 Experienced attorneys and New York officials will explain the process and what you need to know to do this kind of pro bono work. If you would like more information about filing for personal bankruptcy, please see the City Bar Justice Center Publication, “Personal Bankruptcy: Is it Right for You?”. 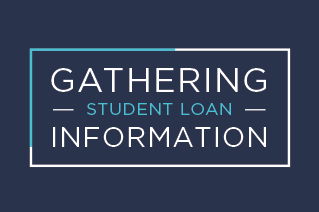 The U.S. Department of Education has additional information about private and federal loans at:https://studentaid.ed.gov/sa/types/loans/federal-vs-private. 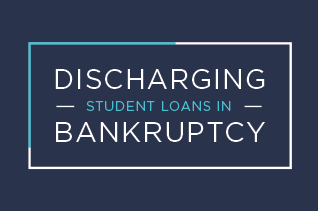 The online database listing for Federal Student loans is the National Student Loan Data System,https://www.nslds.ed.gov/nslds/nslds_SA/. For information about bankruptcy procedure and forms, and to find the website for your local Bankruptcy Court, you can go tohttp://www.uscourts.gov/forms/bankruptcy-forms. 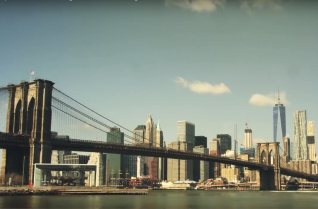 To find an attorney in New York state, visit the Legal Referral Service. To find an attorney in other states, visit the National Association of Consumer Attorneys. To get a free credit reports from the three major credit bureaus, go to https://www.annualcreditreport.com. 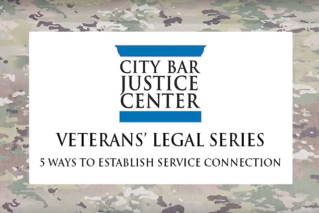 In this installment of the Veterans’ Legal Series from the City Bar Justice Center, Veterans Assistance Project Director Kent Eiler discusses the remedies a veteran has if she believes a mistake was made by the Veterans Health Administration. If the mistake was medical in nature, involving patient care or a diagnosis, the veteran must file a clinical appeal with his local VA facility to resolve the dispute. If the mistake was not medical but administrative, involving entitlement to and eligibility for health benefits, the veteran may appeal the decision similar to the way she would appeal a decision from the Veterans Benefits Administration. By law, the veteran should receive in writing a notice of denial with instructions on how to appeal that decision. Lastly, Kent discusses what a veteran can do if he was wrongfully denied care and incurred personal costs for health care due to that wrongful denial. 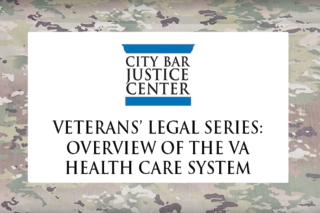 The City Bar Justice Center’s Veterans Assistance Project presents an overview of the U.S. Department of Veterans Affairs health care system. This is part of an ongoing Vets Video series intended to help veterans understand the benefits available to them from the VA. In this episode, project director Kent Eiler gives an overview of the basic eligibility requirements for receiving health care services from the VA. 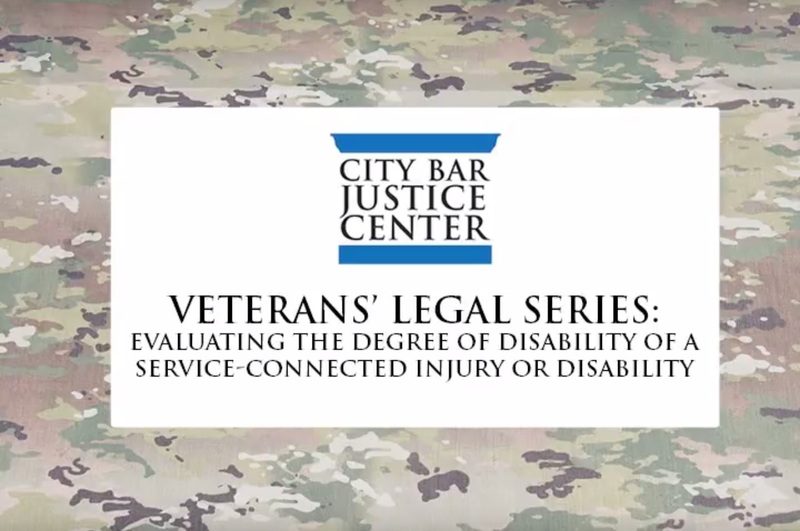 In this third installment of the Veterans’ Legal Series from the Justice Center, Veterans Assistance Project Director Kent Eiler discusses how the VA evaluates the degree of disability of a service-connected injury or disease. After the VA determines a veteran is eligible to receive (and qualifies for) disability compensation, Kent explains the next step in the VA’s process in which it determines the severity of the disability and assigns a percentage evaluation, from 0 to 100, based on the VA’s Schedule for Rating Disabilities. 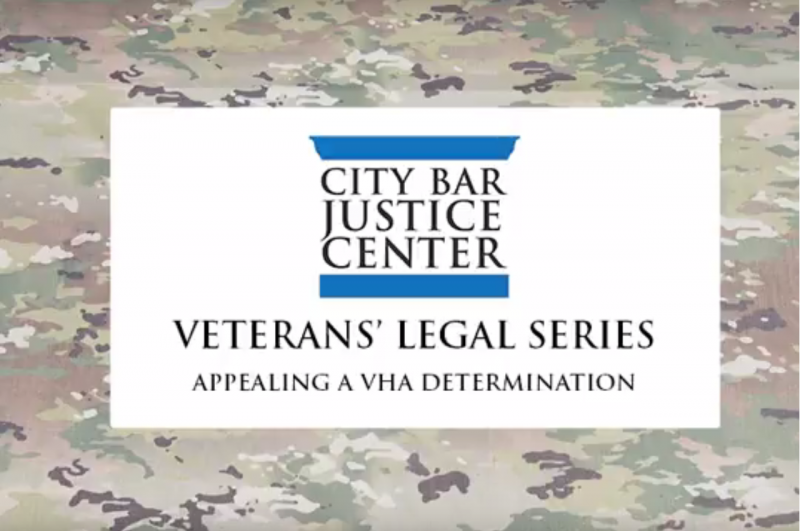 In this fourth installment of the Veterans’ Legal Series from the Justice Center, Veterans Assistance Project Director Kent Eiler discusses how veterans can establish a vital element necessary to support service-connected disability compensation claims before the U.S. Department of Veterans Affairs. 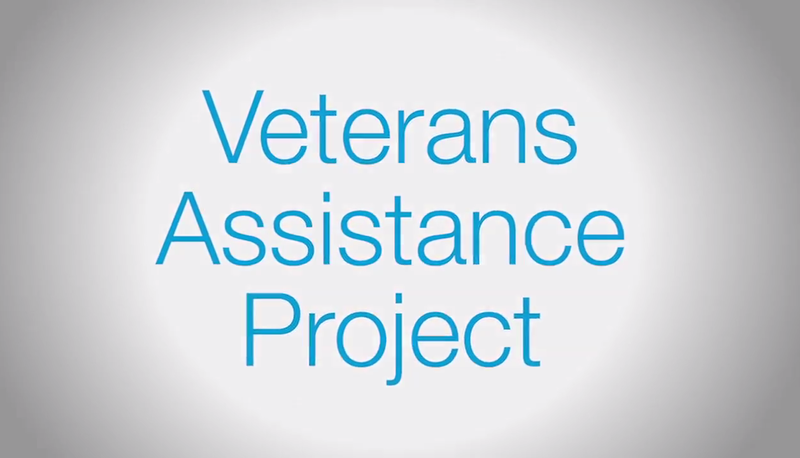 This is part of an ongoing Vets Video series intended to help veterans understand the benefits available to them from the VA.
Are you a veteran who is unable to work due to injuries or ailments connected to your military service? Do you know a veteran who cannot work due to service-connected injuries? Veterans who cannot work due to service-connected injuries may be able to claim Total Disability based on Individual Unemployability (TDIU) benefits. 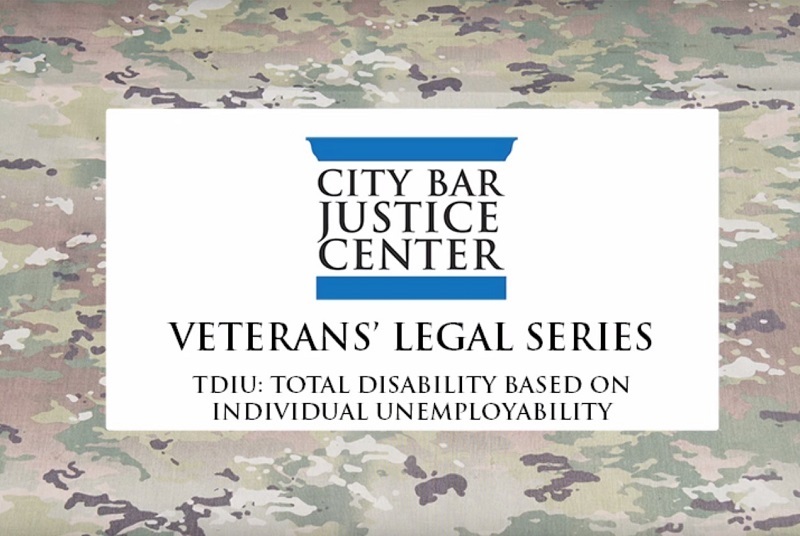 Learn more about TDIU in this episode of the Veterans’ Legal Series, created by the Veterans Assistance Project of the City Bar Justice Center. 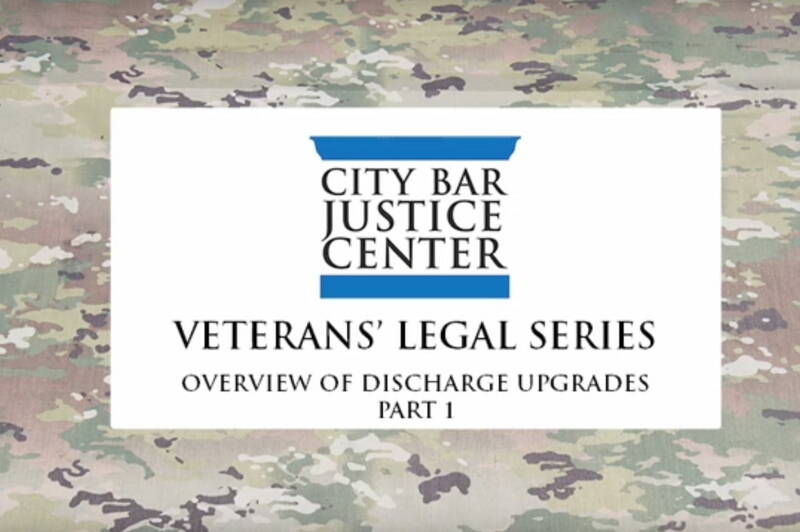 In the sixth episode of the Veterans’ Legal Series, Veterans Assistance Project Director Kent Eiler explains the difference between administrative and punitive discharges and dispels some rumors about discharge upgrades. 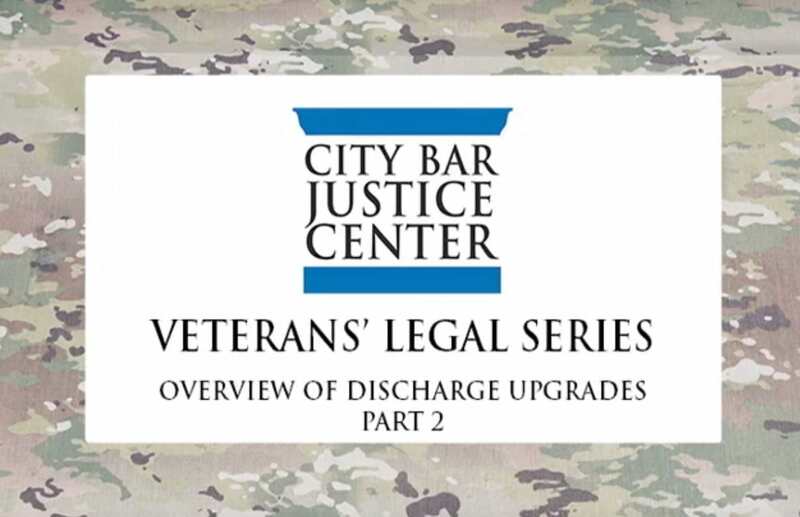 In this episode, Kent Eiler, Director of the Veterans Assistance Project, discusses the differences between a discharge upgrade from the Department of Defense and an Independent Characterization of Service/Discharge from the VA. These are two separate administrative processes at two separate federal agencies. 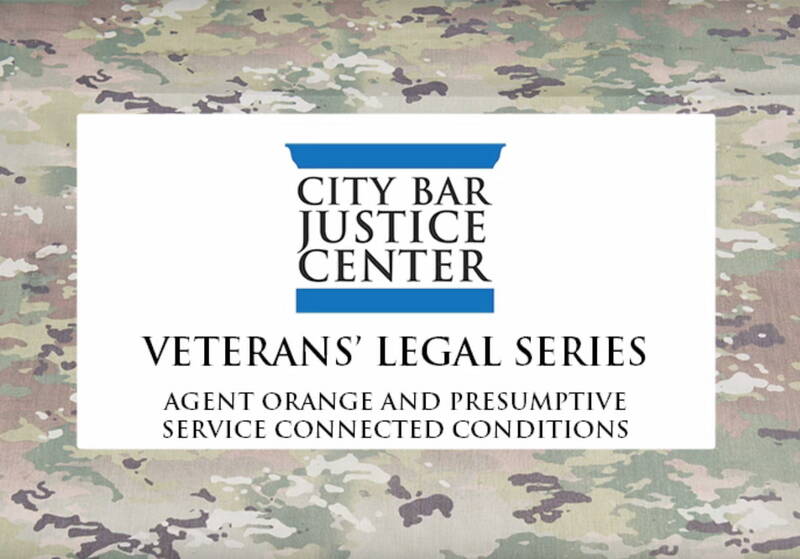 In this episode, Veterans Assistance Project Director Kent Eiler discusses presumptive service connection in the context of Agent Orange Disability Claims. Presumptive service-connection is one method that can be used to establish eligibility in VA Benefits claim applications for illnesses and disabilities due to Agent Orange.